Right now we are offering our Gulf Stream Streamlite Ultra Lite travel trailers at bottom dollar pricing! 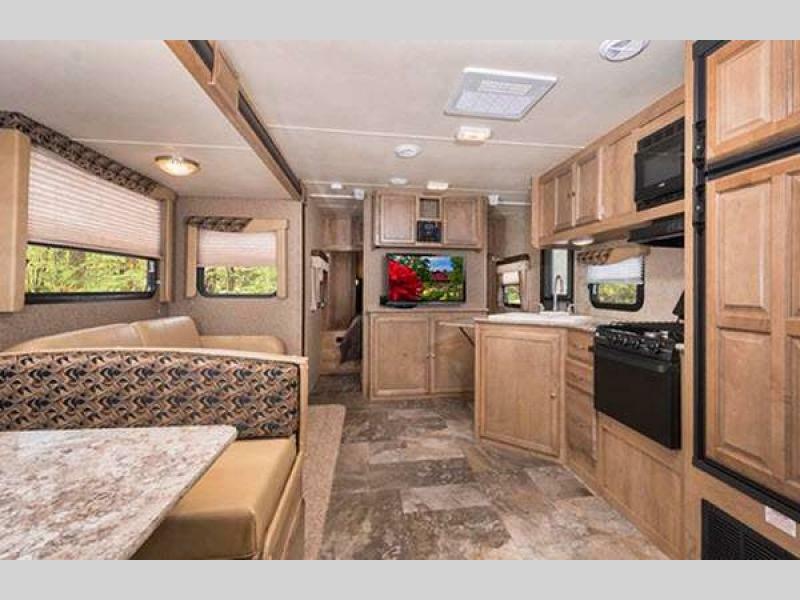 At Moore’s you’ll save thousands of dollars to get the same amazing RV as some of the other guys, but with no hidden fees! The price you see is the price you pay! Let’s take a look at these campers to see if they are right for you. 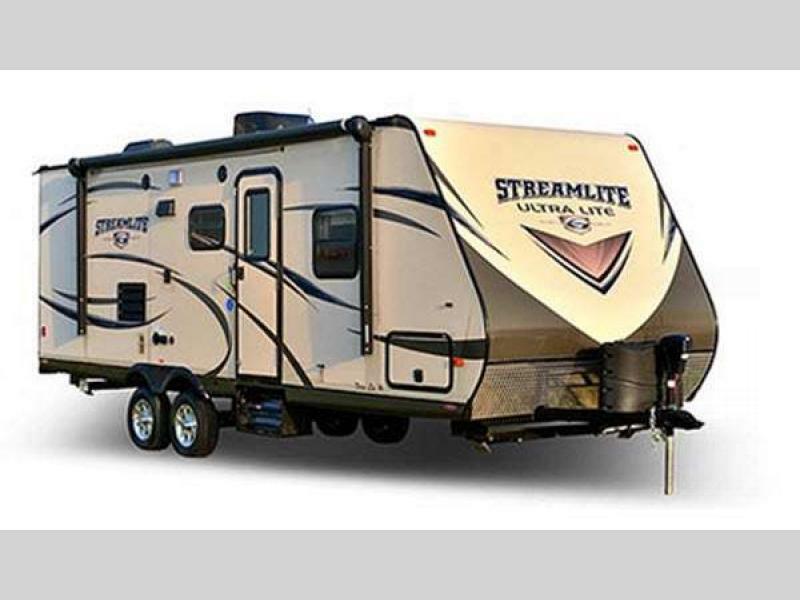 The Streamlite travel trailer is in the ultralight category with a dry weight between 3200 and 6200 lbs. This makes it easy-to-tow with a smaller vehicle like an SUV or even a minivan. Plus, the lower tow weight will give you better gas mileage to help you save even more money. 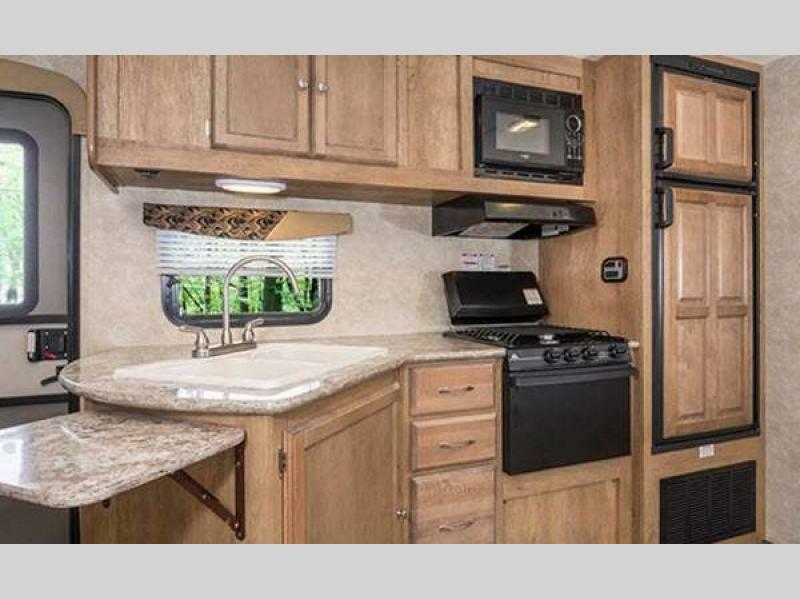 Even though this Gulf Stream is an ultra lite RV, it is still made with high quality materials and with numerous amenities to keep you comfortable. Starting on the exterior, you will find a patio awning with optional upgrade to make it electric with an LED light strip to create the perfect place to relax and enjoy the outdoors. As a ultra lite, its is easier-to-tow and easier on your gas budget. Moving inside, you are sure to see many features that you’ll love. The main room will be a combination kitchen and living room with some floorplans having a slide here to make the room even more spacious. Cook like you are at home with the 3-burner gas range with overhead vent hood, gas oven, and large double door fridge. This area will also come with many places to sit or lay down like the booth or U-shaped dinette and Comfort Series jack knife sofa. Plus, you can add more luxury features like an electric fireplace and home theater system to go along with the LCD TV! Cooking on the road has never been so easy. On your next vacation, be sure to bring along all of the creature comforts of home as well as plenty of space for everyone to sleep with the Gulf Stream Streamlite. At our Bottom Dollar Prices, these campers are sure to move quickly, so hurry up and contact us or come by our location to take one home with you today!